Love and Life at Leadora: I Won! Even though it was a dreary, rainy day at Love and Life at Leadora, I found a ray of sunshine in my mailbox today! I won a giveaway from Connie at The Home Place! You can find her blog here. 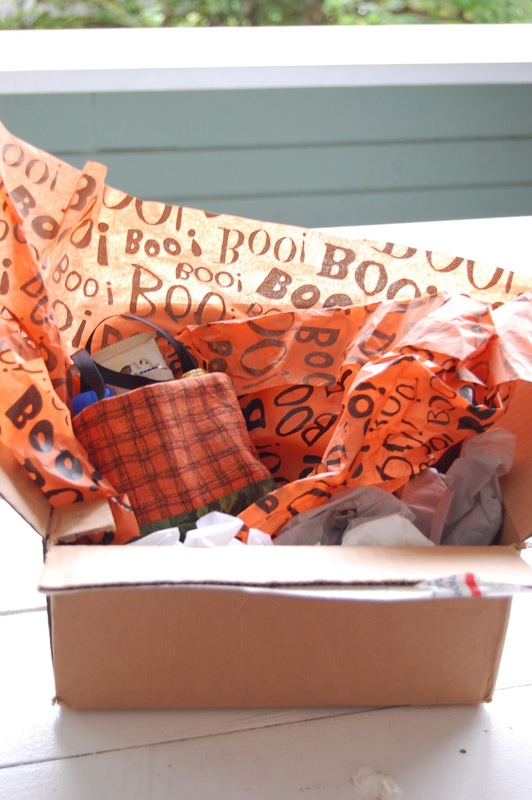 When I opened the box, I found one of her cute handmade fall bags filled with candy, lotion, and a sweet sentiment. Thanks Connie! You made my day! Wow! Aren't you lucky all I got in my mail to day was some bills. Very cute...love the Halloween paper. You lucky girl. How fun. I'm so glad it arrived safely and brightened your day! how do you find such cute stuff? do you shop together? cute, cute decorations.